The Hynesian struggle is real. 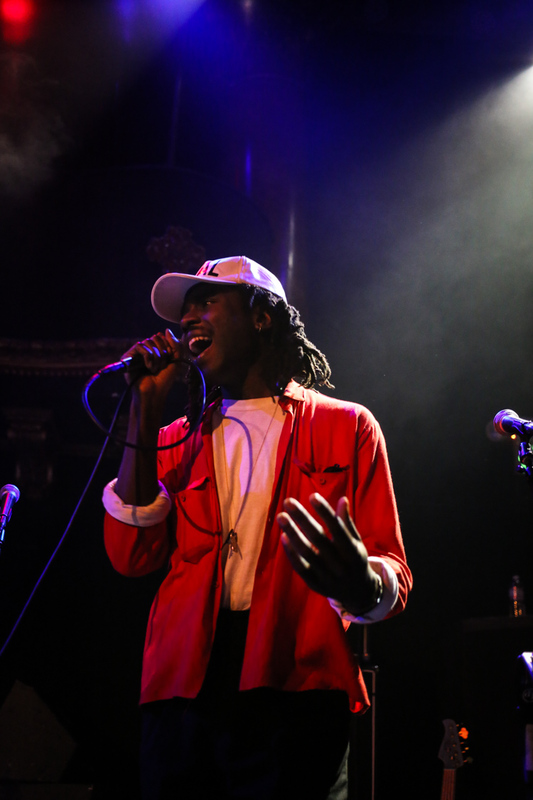 Blood Orange (née Dev Hynes) had a wild year, suffering a nasty apartment fire and dropping one of the best albums of 2013, but showed up in San Francisco last night as brilliantly affected as we had hoped. 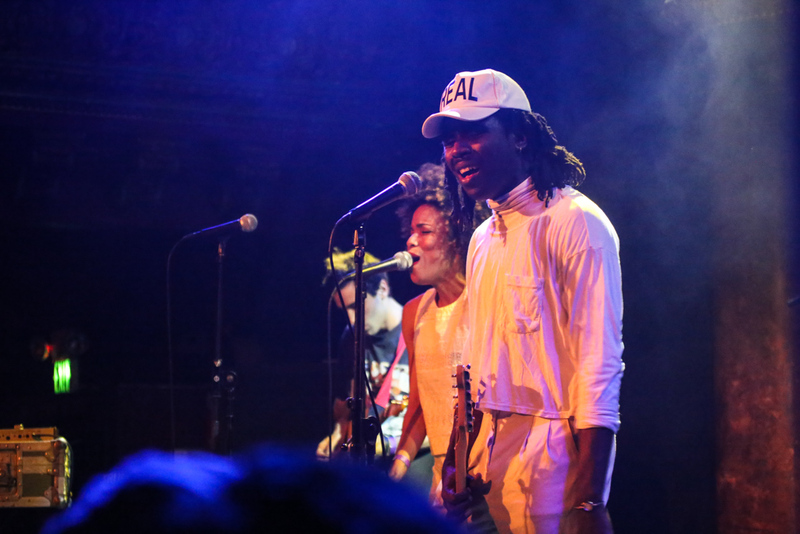 Before his 70-ish minute set as Blood Orange at the beautiful Great American Music Hall, he took his act out to play a song with Kindness (who had opened with a DJ set). I, like everyone else in the crowd thought that meant the show was starting. 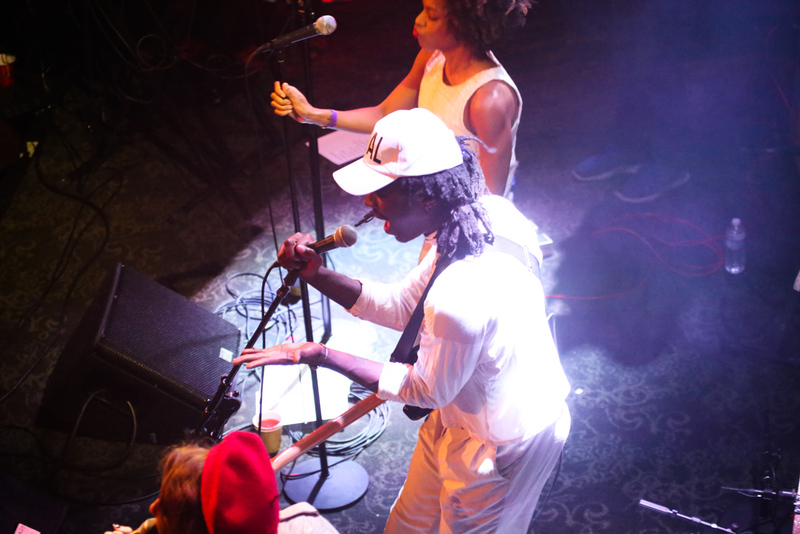 It didn't actually for 15 more minutes—Hynes left the stage after one song—but it was my first exposure to the brassy hues of Blood Orange. The 28-year-old Brit commandeers '80s beats, funk, and husky tonal layers and distorts them into some compelling, capricious twist on upbeat, downtrodden soul. 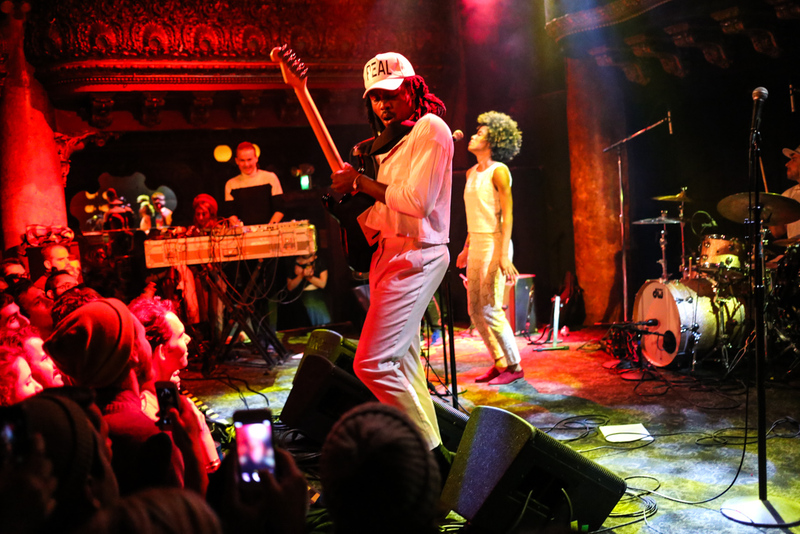 He moves like Michael Jackson and plays like Prince (or so I'd imagine, since I'll probably never fork over $300 for Prince tickets), and the parameters defining gender, space, and music genres seem non-existent to him. He opened his actual set with (what sounded like) a cover of The Jacksons' "This Place Hotel (Heartbreak Hotel)" with a full band seven or eight deep—including a saxophonist who soloed on a few cuts such as this one. 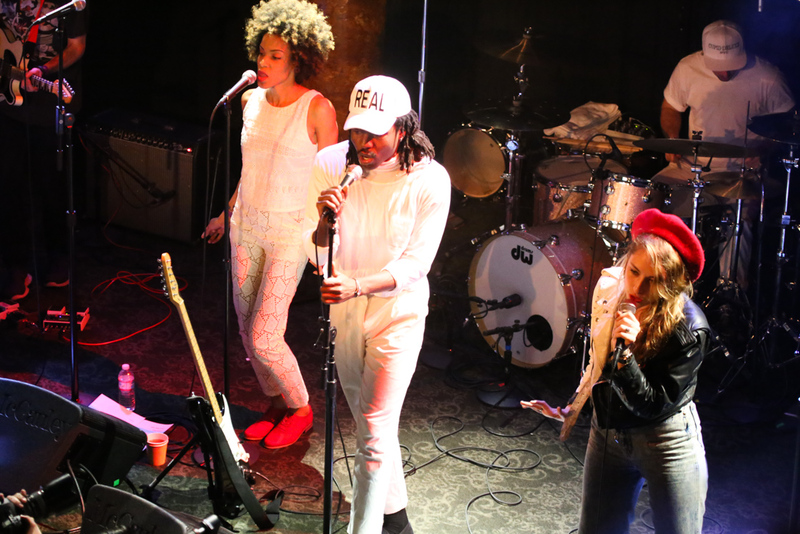 Friends' Samantha Urbani (who is also Hynes' girlfriend) emerged in a red beret before "You're Not Good Enough" with campy energy. 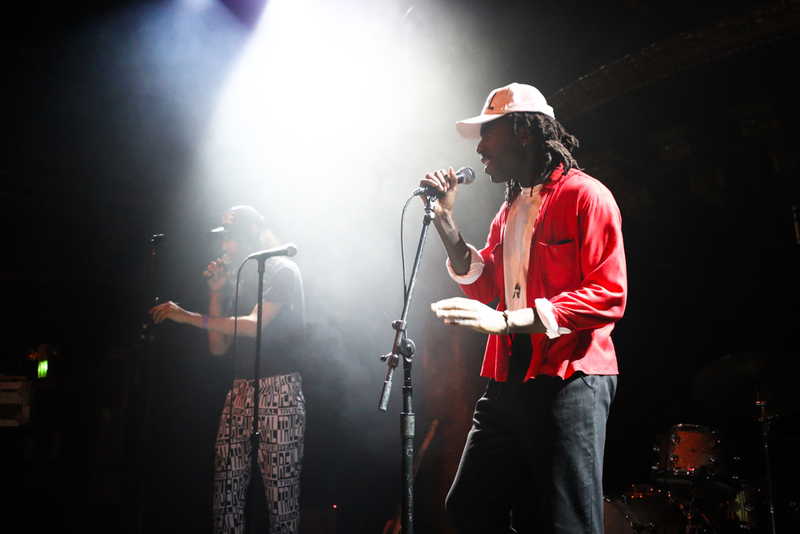 The production is a funk carnival, and I'm completely lost as to how anyone would find Blood Orange boring. Hynes began to flash brawn on a solo, and I remembered that the artist is a synesthete—in his case, he hears tones in colors. 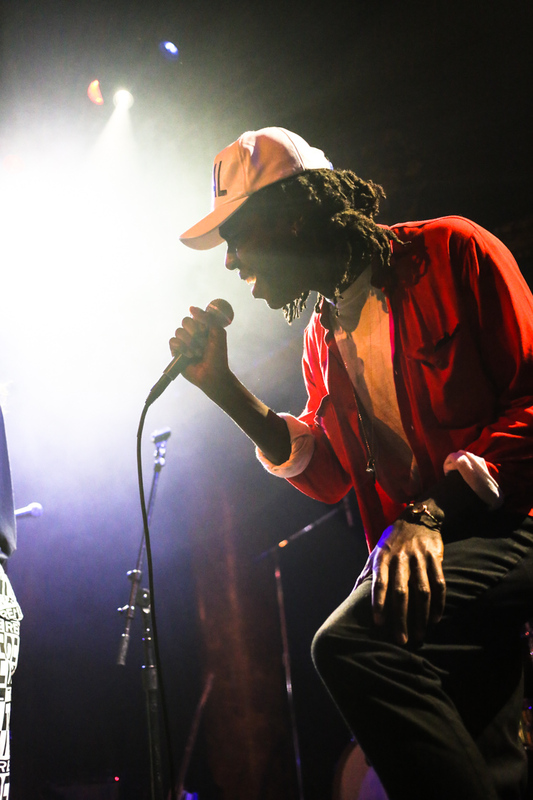 The red light saturated his white turtleneck and white "REAL" cap, but it's hard to picture that visual blends of swirling blues and golds make up the song's aesthetic to him. His achromatic apparel seems all the brighter in its blankness. Brooding in tropic tones and poised in falsetto on "It Is What It Is", Hynes approaches finality without giving it to the audience. It's even written into the song's lyrics. At an NYU lecture last year on his synesthesia, he confessed that it's one of his favorite musical strategies, saying, "One of my favorite Chopin tricks is how he would constantly tease you with his melodies, where you’re just waiting to get over the hill, have some kind of resolve, and he wouldn’t give it to you, until finally when your mind has given up on ever getting that release, he just lets go." 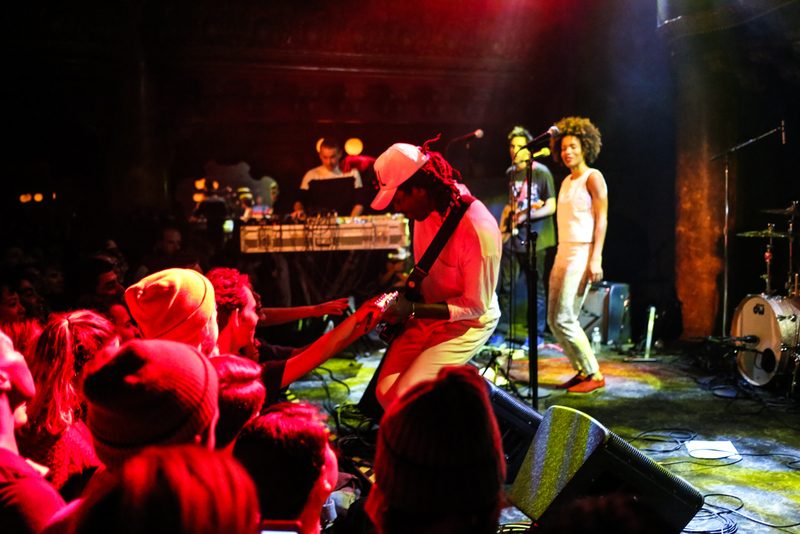 That kind of scrupulous composition makes Blood Orange so great, and watching Hynes and company execute a flawless key change suggests that Hynes is moving towards even more dynamic sounds. 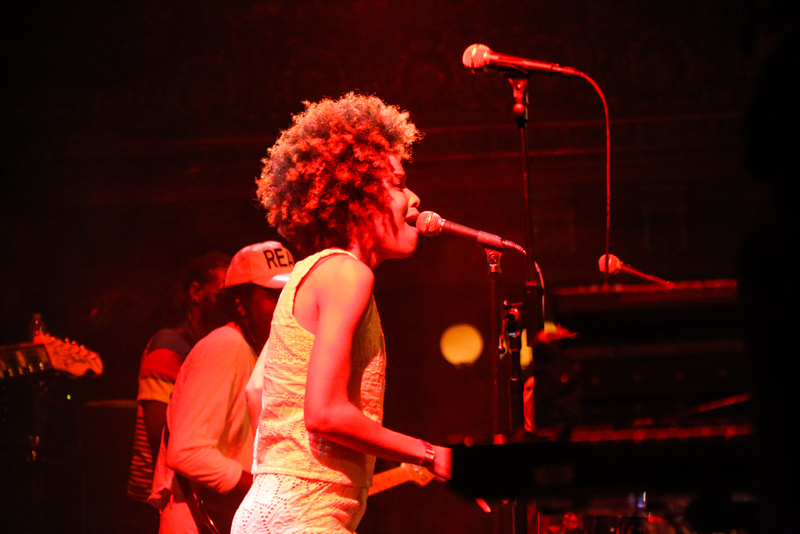 The greatness of Cupid Deluxe will only amplify with Hynes' future releases. Time will tell, I suppose.